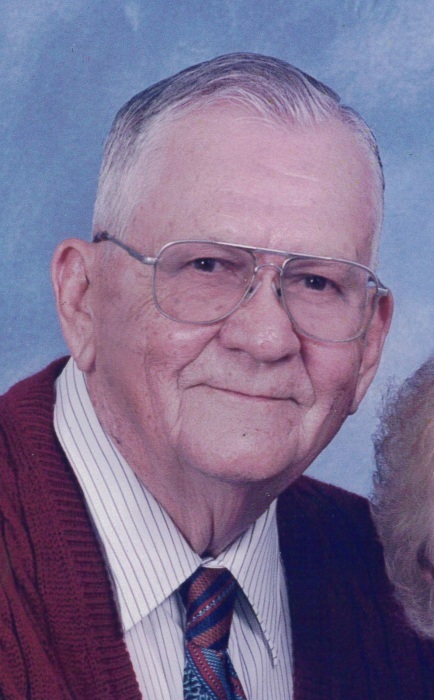 Albert Kearns, 97, of Arcola, IL passed away at 8:14 A.M. on Saturday, February 2, 2019 at the Arcola Health Care Center. Private services will be held, burial will be in the Arcola Cemetery. The Edwards Funeral Home is assisting the family. Albert was born on September 6, 1921 in Humboldt, IL. He was a son of Frank and Bessie (Watkins) Kearns. He married JoAnn Evans on January 7, 1951 in Paris, IL. He is survived by his wife JoAnn, five sons, Mike Kearns and his wife Pamela of Savoy, IL, Kevin Kearns of Arcola, Mark Kearns and his wife Susan of Wildwood, MO, David and his wife Kathy of Arthur, IL and Dean of Newman, IL; eight grandchildren, Sean Kearns and his wife Christi of Marion, IL, Aaron Kearns and his wife Lindsay of Mahomet, IL, Dawn Purdue and her husband David of Singapore, Brook Elam and her husband Phillip of Champaign, IL, Megan Kearns of Tuscola, IL, Katie Pepperdine and her husband Craig of Catawissa, MO, Dana Kearns of Wildwood, MO and Tyler Kearns of Arthur, IL and a sister-in-law, Ilene Pyle of Mattoon, IL. He was preceded in death by his parents, a daughter-in-law, Tami Kearns and five siblings, Wilma Byerly, Armour “Dollie” Kearns, Harold Kearns, Dale Kearns and Merle Kearns. Albert was a Marine Veteran of WWII having served in the Pacific Theater. He was a member of the Arcola First Christian Church. He had worked at the Chevy garage in Arcola, IL, King Brothers in Arcola, IL, International Harvester dealership in Arthur, IL, back to King Brothers in Arcola for several years and retired, then went to work at Mooney Ford in Tuscola for several more years. Albert enjoyed tinkering in his garage, gardening and working in his yard.